We are a well established family company, who take pride in providing the very best in mechanical repairs, parts and servicing. Our friendly, professional and qualified staff are always willing to give advice and explanations of work carried out on your vehicle. 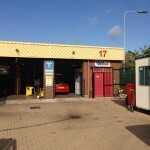 We offer a range of servicing and vehicle repairs from our easily accessible and well equipped, modern workshop and garages in Hull, East Yorkshire. 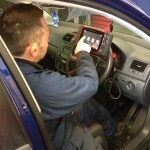 We are a family-run business, established for over 30 years in Hull, specialising in MOT tests, services and repairs. 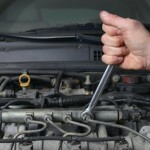 At Wells Motors we offer a range of servicing and vehicle repairs from our easily accessible and well equipped workshop and garages in Hull, East Yorkshire. We provide quality guaranteed work at affordable prices. On our website you will find some information about our professional, reliable and well respected and established company. 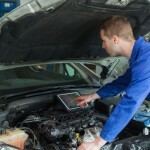 We offer a wide range of garage services from MOT tests to oil checks and everything in between. If you would like any more information about our company, services, prices or MOT testing centre please feel free to contact us, as our friendly and professional staff are always keen to help. You can pop in and see us at our modern and clean workshops.